Mahabharata, xii, vi, 5, 6-7. Tell me, Kali, whither art thou going with Dwapara accompanying thee? 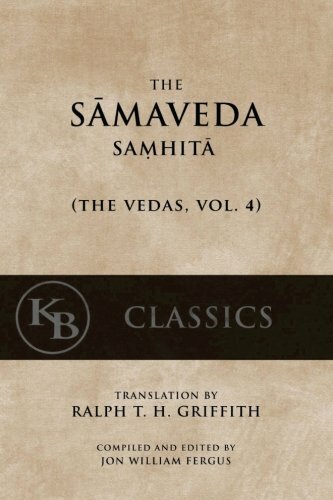 To the self-choosing of Damayanti, and there shall I choose her, for my heart has gone out to her. The self-choosing is ended! Chosen by her was Nala the King, as her lord,—even in the presence of us. That she took a son of man for her husband, even from amid gods,—for this let there be for her justly a heavy enduring of punishment. Even with our consent, by Damayanti was Nala chosen; and what woman would not follow King Nala, in whom all virtues dwell, who knows every law, and walks faithfully in all things, who has read the Vedas four, and all the histories as well; in whose house the gods are ever delighted with offerings, according to the law; who hurts no living thing wantonly; who speaks truth, ever constant to his word; in whom are righteousness and firmness, gentle charity and fervid will, purity, self-restraint, control, set ever firm in this tiger of men ; in this human ruler, equal to a lord of the worlds. Whoever, Kali, would desire to curse Nala, being such as this, he, deluded, would curse himself and of himself destroy himself. Whoever, Kali, would desire to curse Nala, having virtues like these, he would sink in a horrid hell, a wide, impassable abyss. I cannot contain my wrath, Dwapara! I shall dwell near Nala, until I cast him forth from his kingdom. He shall not enjoy the daughter of Bhima! Do thou also enter into the dice, deigning to lend me thy aid! Come, play against Nala, O worthy one, and thou shalt conquer Nala, at play with the dice, by my aid. Gain thou the Nishadhas for thy kingdom, conquering Nala the King! And thus addressed by Kali, Pushkara came to where Nala was; and Kali also, becoming the highest throw, as a bull among cows, came to the side of Pushkara. And Pushkara, slayer of the heroes of the foe, seating himself beside Nala the hero: Let us two play!—thus spoke his brother—for the highest throw!—thus said he, once and again. Here are the folk of this city, lady, standing at the door, full of concern. Let it be announced to the King of the Nishadhas: All thy subjects are standing there, no longer able to bear the downfall of their King, eager to see justice for him. Thereon she, with voice full of tears, and oppressed with grief, spoke to the King of the Nishadhas, the daughter of Bhima, her heart stricken sore with sorrow. King, the people, the men of the city, stand at the door, seeking to see thee; they are here with spokesmen all, full of loyalty for their King. Do thou deign to see them. Thus, verily, she spoke, once and again. But her, of the beautiful eyelids, lamenting in this wise, the King overruled by Kali answered not at all. Thereon those spokesmen, and the dwellers in the city, grief stricken, and shame-faced, went to their houses, saying: It is not he! Then that play lasted thus for many months, and Nala always lost.